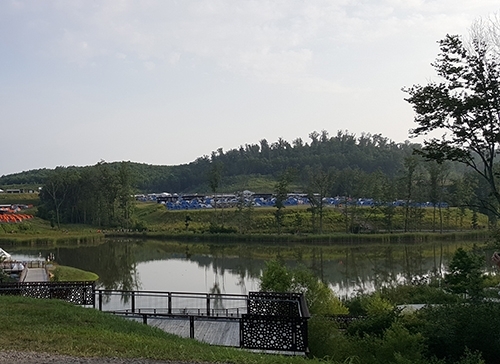 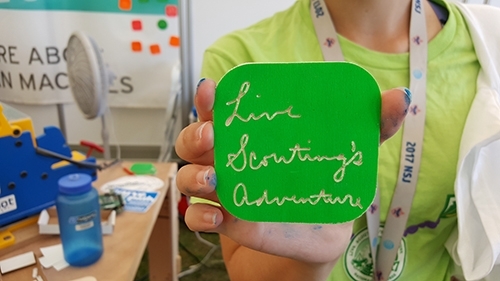 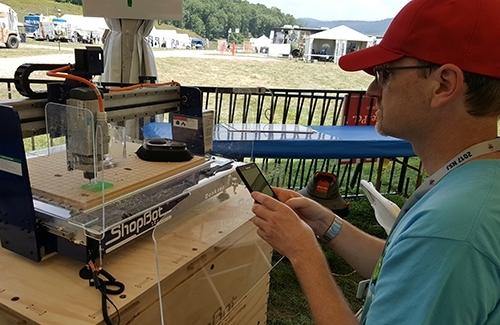 The 2017 National Scout Jamboree at the Bechtel Summit Reserve in West Virginia was a huge event for makers and an opportunity for 40,000 scouts and scouters to learn how much fun a Makerspace can be. 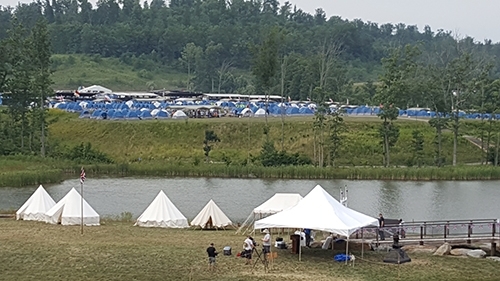 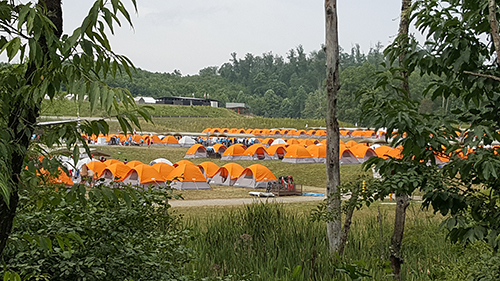 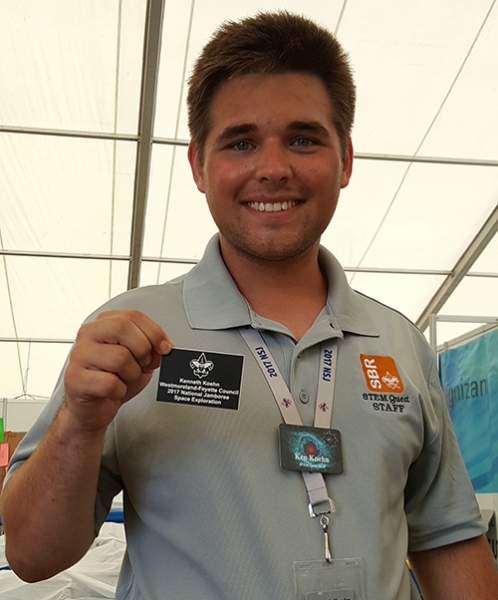 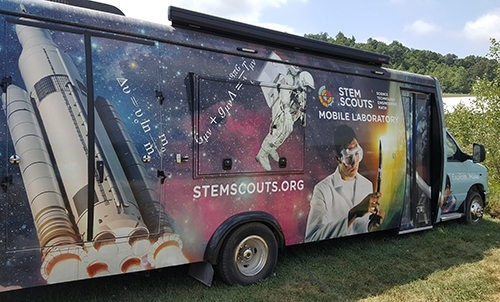 The National Jamboree set up a large area full of tents called STEM Quest with opportunities for scouts to earn merit badges and discover multiple technologies. 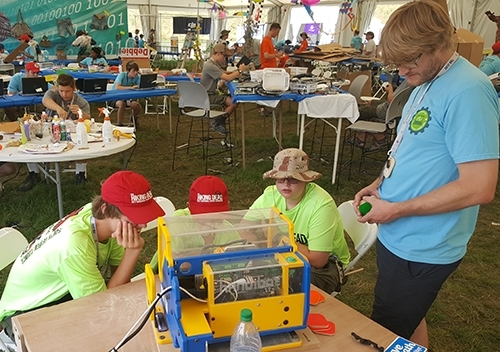 One of these tents was a MakerSpace tent set up by Cognizant that included many activities, such as drone flying, robot programing, sewing, silk screening, soldering, and CNC machining, to name a few. 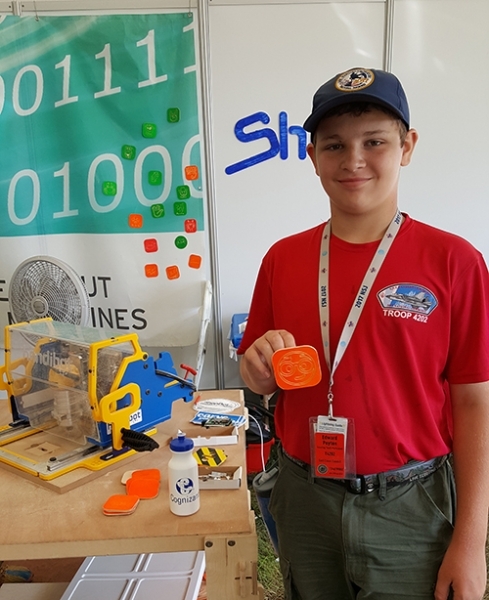 ShopBot sent a couple of guys to help introduce the scouts to CNC with two Handibot® Smart Power Tools and a ShopBot Desktop. 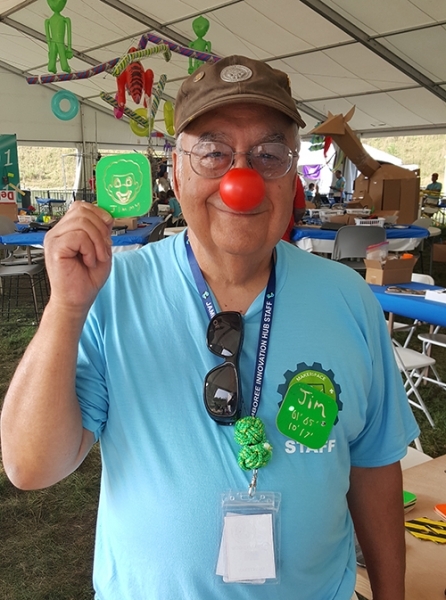 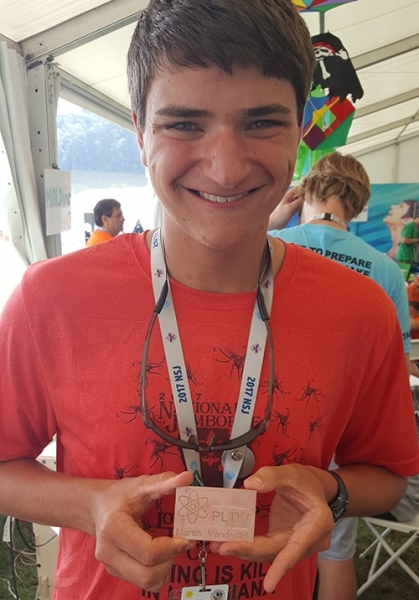 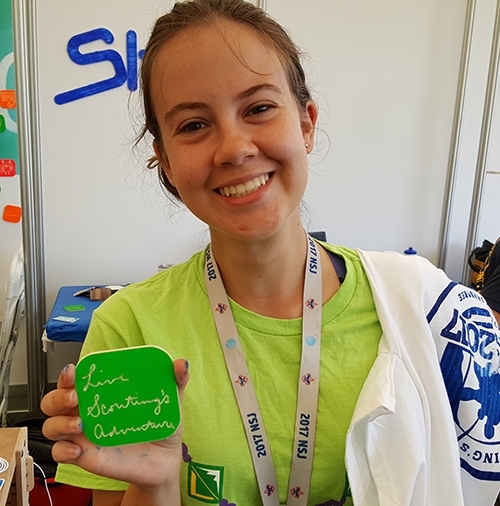 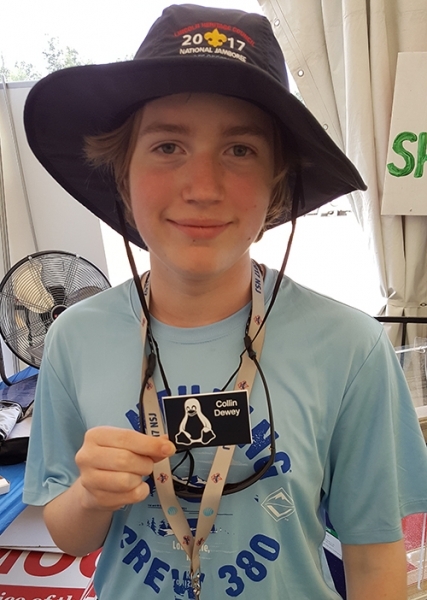 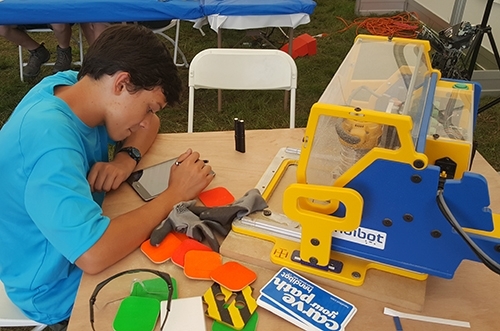 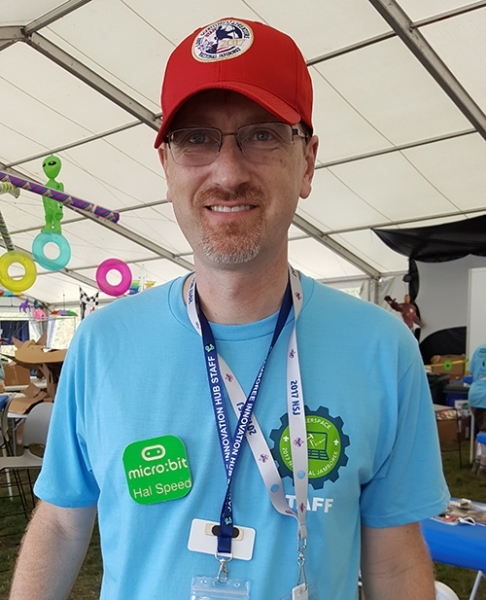 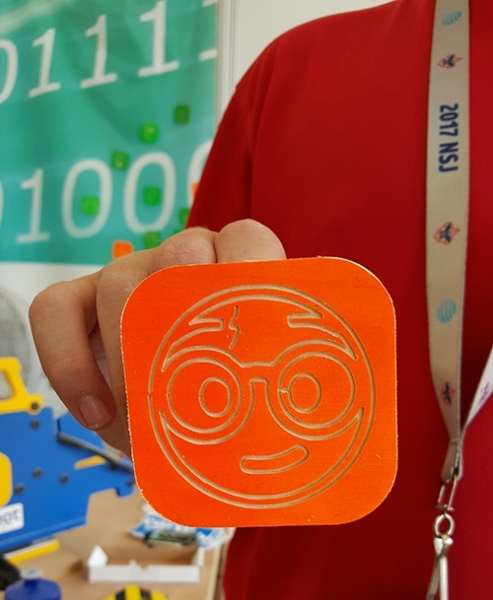 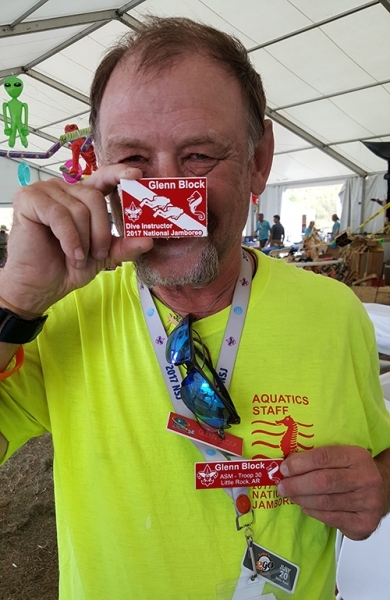 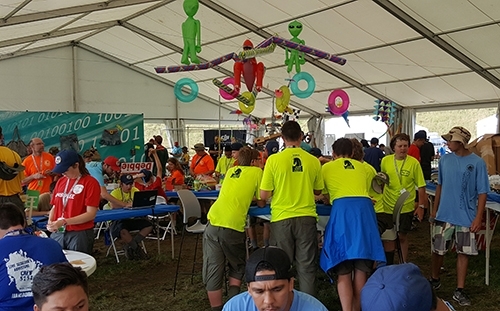 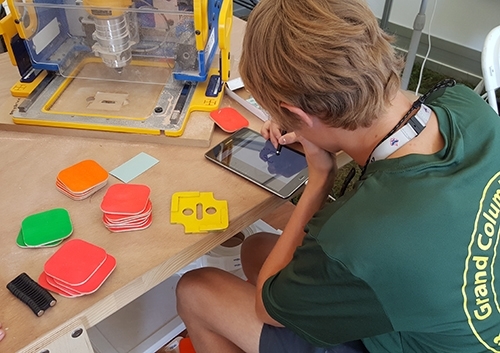 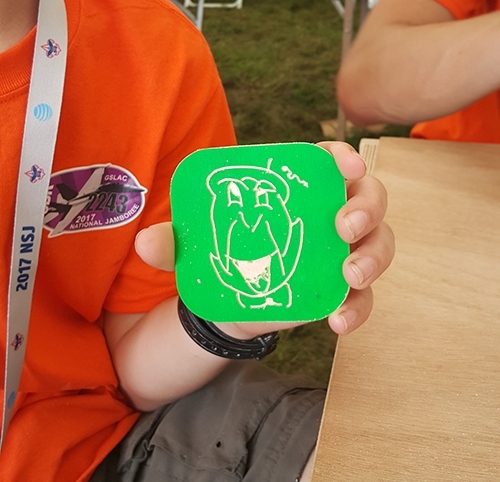 Throughout the 10 days of the jamboree, and with the help of several adult scout volunteers, almost 2000 scouts took the opportunity to make badges on the two Handibots that were brought to the event and using the FabMo app, Badger. 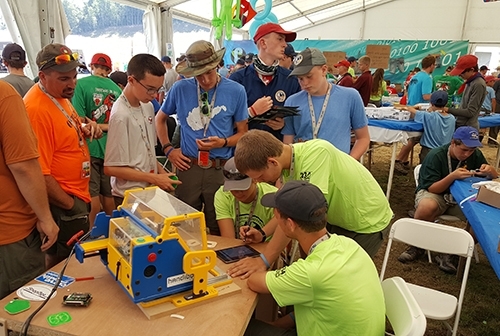 There were also multiple opportunities to teach some of the scouts how to make a project that was a little more involved. 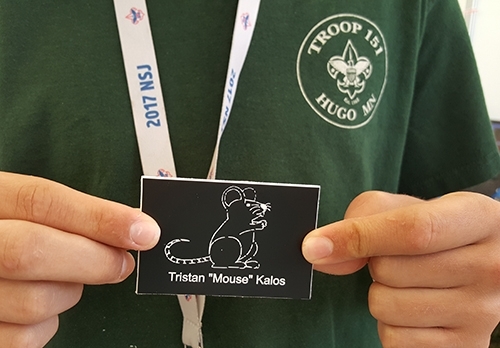 Most of these scouts chose to make a name badge that they could wear on their uniform after the jamboree. 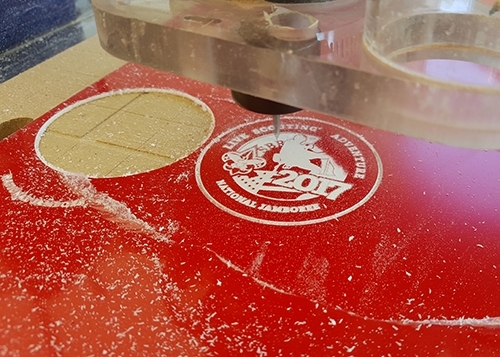 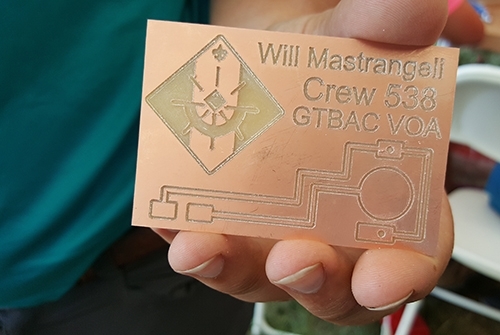 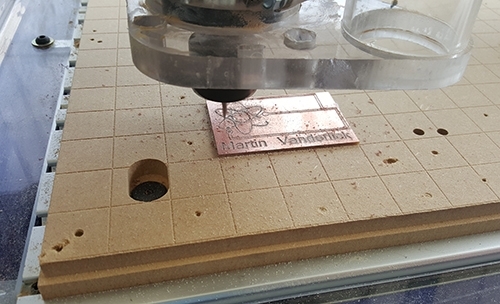 The training to make these badges involved VCarve Pro for converting a raster image to lines and arcs, toolpathing, how to set up the tool and then cut. 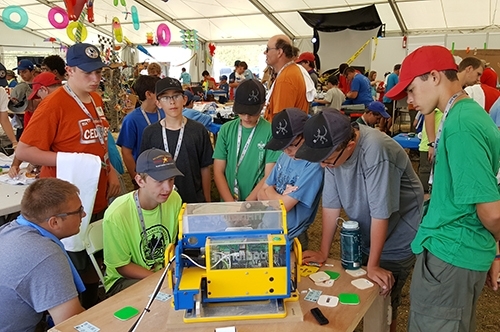 This was an amazing experience, it was a ton of fun to teach these scouts about CNC and see the smiles on their faces when they finished making something on their own, for the first time in most cases, on a CNC machine.